Posted in: Radio Control, XRAY. Tagged: New Releases, RC, RC Racing. It seems like just yesterday that XRAY released details on the 2014 version of the XB4, but it turns out that was October of last year. 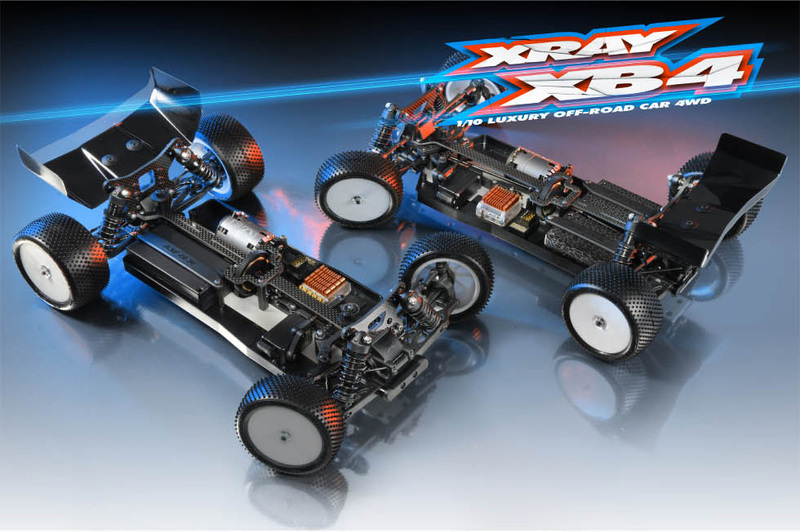 Today, XRAY released the details on the 2015 version of the very popular and successful 1/10 electric buggy. 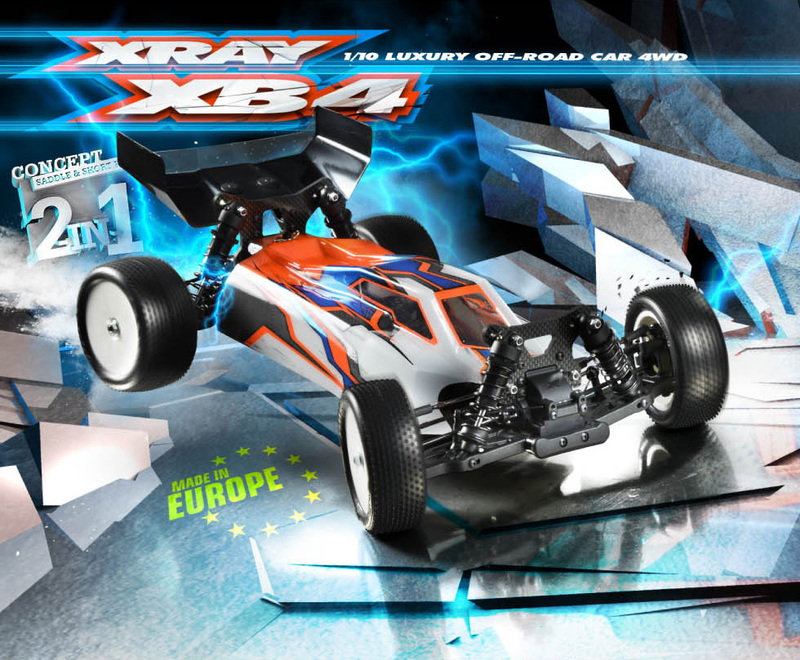 The 2015 XB4 platform is built on a 2-in-1 concept, that lets you change or reposition components on the car to use a short LiPo battery pack -or- saddle packs. Smarter chassis weight balancing options support the 2-in-1 concept, allowing repositioning of battery packs, motor, electronics, and servo on different sides of the car. To get complete details, be sure to check out 2015 XB4 Release Sheet and 2015 XB4 Specs. For more pictures, check out the 2015 XB4 Gallery.